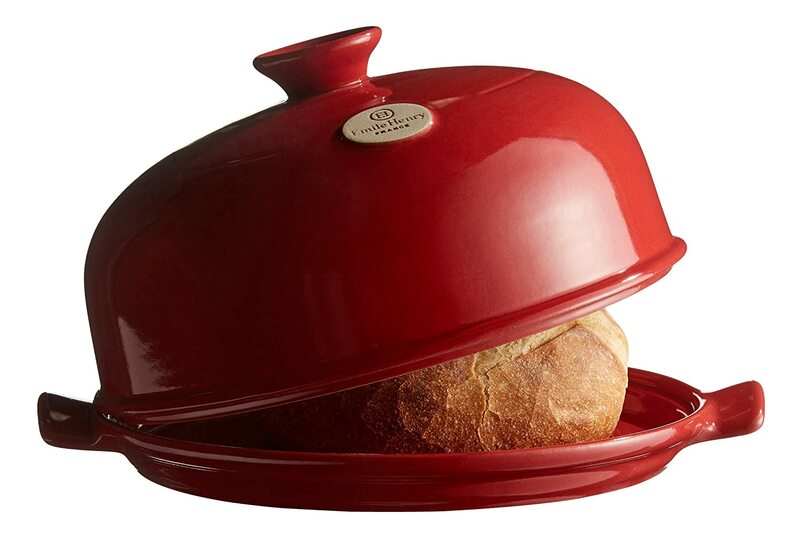 Today after work, I visited the Goodwill Store next to my office in search of a “cloche” bread baker. This particular bread baking item can be quite pricey so in hopes of finding one that had been discarded when its previous owner had lost interest, I hit the aisles. Fortune did not shine on me for there were no cloches or baking stones in this particular store. Not to be defeated, I tried another Goodwill store on my way home but once again no luck. The price for finding your treasure at a cheap cost means many trips to the stores hoping that eventually you’ll be rewarded. I find it interesting that deciding to bake my way through a bread book can lead to not only new knowledge but also a desire to reorganize my kitchen into a more “cook friendly” one. I have vacillated many times in my life between wanting the clean, uncluttered counter look in my kitchen to desiring kitchen utensils surrounding me in a wabi sabi manner. I always wind up back in a wabi sabi mode because I love the look, the feel of having familiar items surrounding me…an easy reach to my favorite wooden spoon, my salt-cellar I dragged all the way home from Italy, the Boos butcher block that has become a familiar friend, different shapes and sizes of glass containers filled with a variety of flours and grains and of course the mixing bowls…including one that belonged to my Mother and I can almost feel her hands performing the same mixing rituals. A memory is attached to all of my kitchen utensils and equipment and with their help, I have produced many, many successful meals as well as some monstrous mistakes. It is a learning process and learning new things, experiencing new textures, flavors, sensual, visual or auditory sensations is exuberating. Isn’t life grand!!! I’ll be on the lookout for you in my area. Will send you a picture if I find anything. I’m on the look out too! Ginny, I remember our mother mixing her grandmother’s English plum pudding recipe in the crockery bowl. I think I have the recipe somewhere. I will try to find it for us.